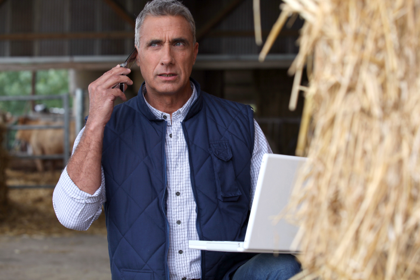 No powerline and poor cellular coverage kept decision makers from receiving the information they needed to improve their cattle farm business. A Cattle Business in Queensland, Australia wanted to automate their operation to save double handling, data re-entry and human error as well as providing real-time information to decision makers. They wanted to capture data straight from the cattle in the crush and load the information directly onto the main server located 40km away. 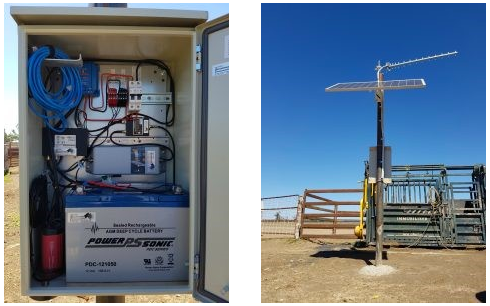 With no power line in the cattle yards, a solar powered installation to improve cellular and data coverage was the only solution. The Solar Installation system provided the client with 2.4Ghz wifi access using a wifi router and Yagi Antenna. A Cel-Fi GO was positioned inside the box and locked to the network to provide better cellular coverage for everyone in the cattle yards. A Puck Antenna was used as the output antenna for voice calls (3G) and Wifi (2.4Ghz) which simplified the system. Separation is achieved by mounting the antenna on the underside of the metal enclosure. Inside the box there is a USB to micro USB lead, as well as a micro USB to lightning adaptor to enable charging of all popular mobile phones. It also has a 150W inverter that can be plugged into a cigarette socket under the box. This is used for charging a laptop. The other cigarette sockets are used to power the RFID scanners and other devices used at the cattle yards.